Don't forget to wipe before you swipe the next time you are at Tokyo's Narita International Airport, BBC says. Toilets at the airport have been equipped with "toilet paper" that you can use to disinfect your smartphone. Paid for by Japanese mobile giant NTT Docomo, the sheets also include information about the firm's public Wi-Fi networks as well as details about its smartphone travel app. Social media users have reacted to the move with humour and disbelief. 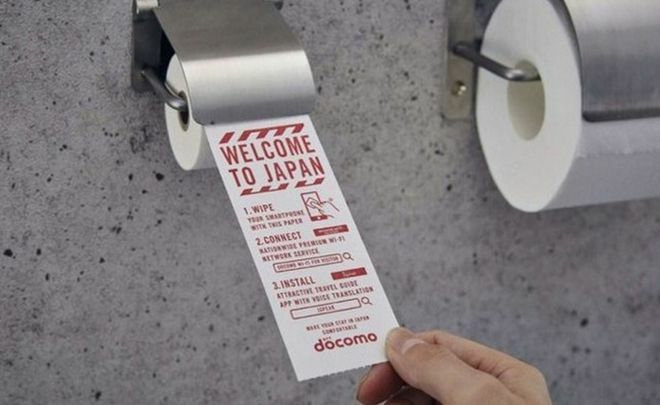 The bizarre dispensers have been installed in seven restrooms and will remain in place until March next year, local media cited NTT Docomo as saying.